This one mile, 1700 foot steep trail rises out of King Ravine to meet Gulfside Trail close to Mt. Adams. 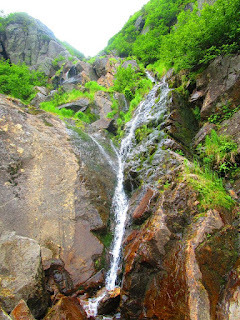 The Great Gully Trail is described by the White Mountain Guide as wild and beautiful, with steep and rough scrambles. 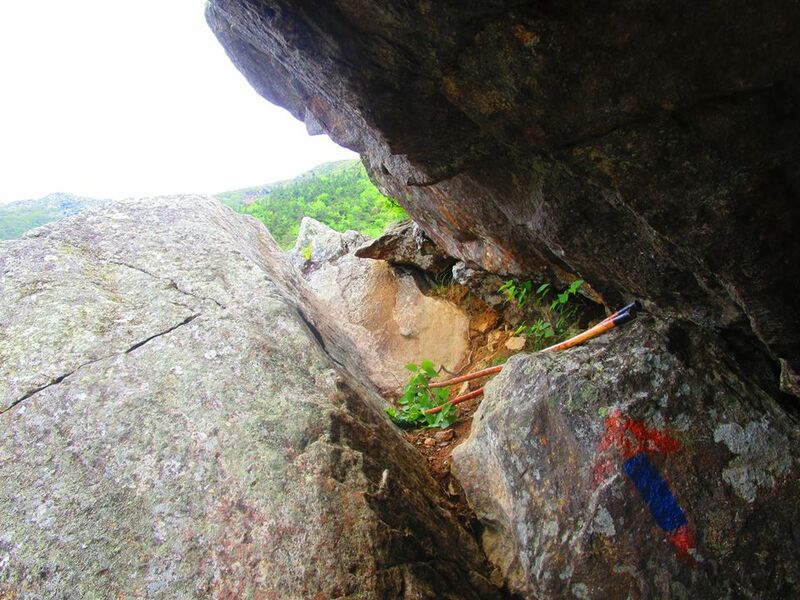 High up, there's a low hanging rock to navigate, and many take off their packs and crawl under. Descent via this trail is not recommended. Trip report by D. Flynn -- Great Gully-- Of the three trails from the floor of King Ravine to the Mt. Adams ridge, Great Gully is probably the most beautiful, with both commanding views of the ravine and its own interesting twists and turns. The AMC guide exaggerates slightly: there is no evil ledge upon which you must either crawl on your belly or fall to your doom. It's just a rock that I was able to climb under pack and all. However, this is not an easy hike. I climbed it at high summer with no snow, and there are places where the trail is the waterfall. You will get your feet wet. I brought an old-school wooden hiking stick for the long walk through the ravine and didn't have too much trouble holding onto it up this climb. Overall, it was an asset.